How to Pass Style Me Girl Level 39, "Army Chick," & Get 3 Stars Without Using Cash Items! | I Style Me Girl! How to Pass Style Me Girl Level 39, "Army Chick," & Get 3 Stars Without Using Cash Items! The way I styled model D'Are, in Style Me Girl Level 39, "Army Chick," theme, isn't typical of what an actual "Army Chick," wears, but it works! I dressed her in jungle-green camouflage print and I received three stars for the look. I didn't use any cash items either! find out how to pass and get three stars on Style Me Girl Level 39, "Army Chick," without using any cash items in this post! 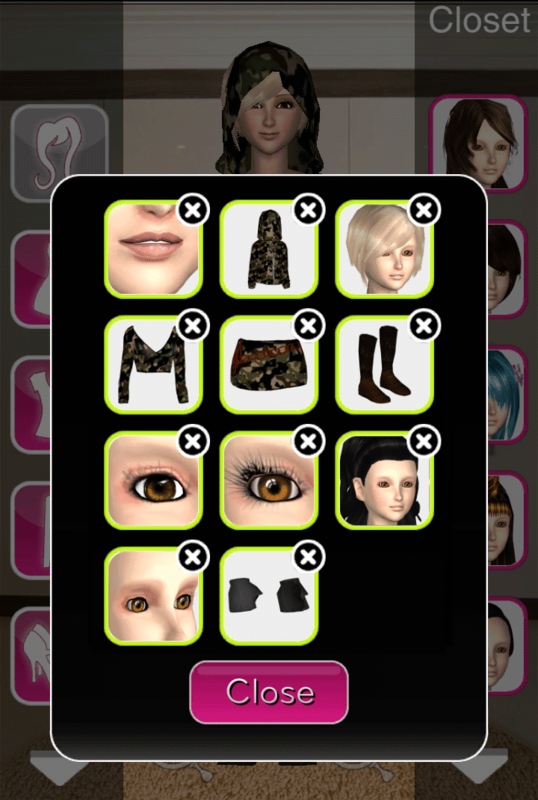 The items I used to earn 3 stars on Style Me Girl Level 39, "Army Chick," are pictured and described in the list below. The "Closet Items," screen capture image (below right) can be clicked to enlarge if you'd like a more detailed view. This look only got me 2 stars.